Just because summer is on its way out and fall is slowly creping in does not mean it is time to put up those fun sunnies! Sunglasses are a year-round accessory, which should be utilized all through the year! Sunglasses are such a great statement piece; for example, large oversized sunglasses are instantly associated with Jackie Kennedy and are commonly referred to as Jackie O. sunglasses, needless to say she always made a statement with her sunglasses. 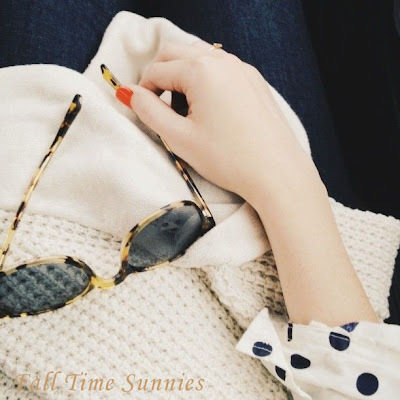 In the fall and winter seasons I just love wearing sunglasses on a bright day with a slightly oversized white cable knit sweater, some jeans or leggings, and a pair of ridding boots; it’s just such a classic, clean, and easy look! 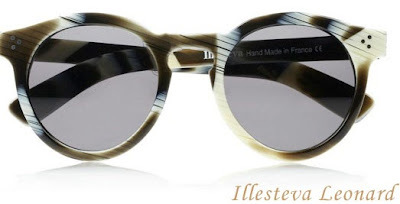 So to help you make a statement this fall here are some fabulous sunglasses! Click on the name of the sunglasses located below the image for the link! Great picks. I really like the last one. The last ones are such a timeless pair of sunglasses, they will be in style for years to come! I love the Warby Parker Downing sunnies! They are so cute and classic! I love the Warby Parker Downings too! They are oh so timeless! Amazing collection. I love the Linda Marrow, i have been pretty actually trying to get one of the design. Followed you both via GFC and Blovin, waiting for your follow back. That is definitely a plus of being a Southerner! Really love the tortoise shell look for fall. I'm not ready to put away my sunglasses so this will be the perfect way to transition. I think my favorite are the Linda Farrows. Great post girl! I love tortoise shell for any season, but especially for the fall! It's always nice to meet another Lauren, such a great name :). I really like the first pair as well, the design and colors are stunning. I haven't had a pair of Prism Moscow before but I have heard wonderful things about them! Hey there, loved your blog, just followed you on GFC, (39) would you mind to follow back? Thanks for the follow :) I just followed you back on bloglovin! Love your blog as well! I have a pair of Ray-Bans that are very similar to that pair and I wear them all the time! It is such a great shape! I love sunglasses. They can change your whole look,too. Sunglasses can really add a little extra something to any look and turn it all around!